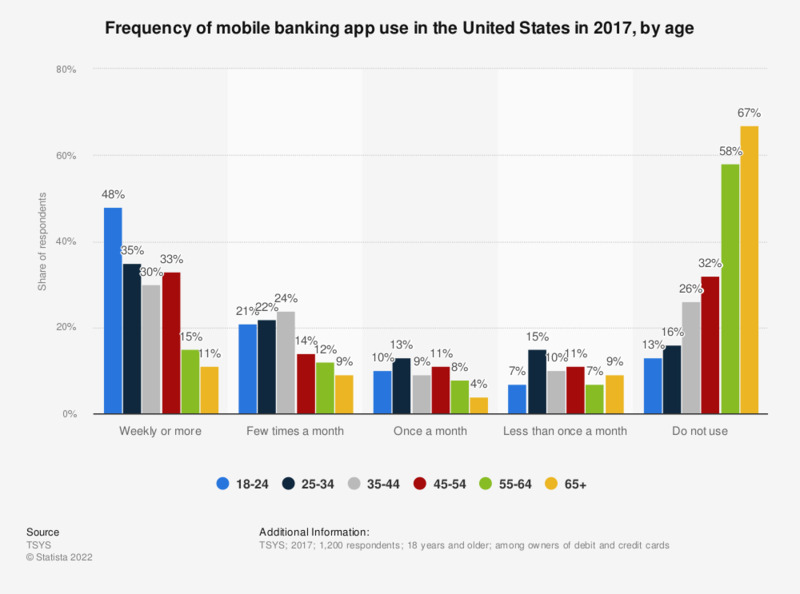 This statistic shows the frequency of mobile banking app use in the United States in 2017, by age. In that survey, 48 percent of respondents aged 18-24 said they used a mobile banking app weekly or more, whereas only 11 percent of those 65 years or older said the same. Source does not indicated why some columns do not add up to 100. India: Are you a user of an internet bank?